Emily Roblyn is a Canadian born singer and choir leader, who has made her home in Devon. Often inspired by the gospel and North American folk traditions, her songs have an “old but new feel”. Emily teaching style is inspiring, enthusiastic and heartfelt. 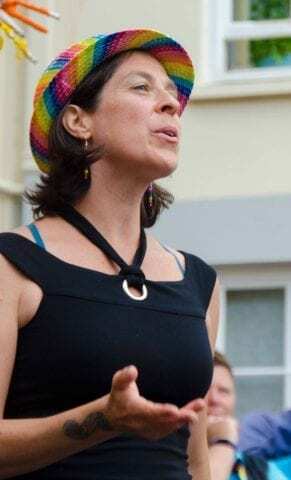 During the day in Leamington, Emily will teach songs in many styles: everything from gospel, spirituals and beautiful earth-inspired chants, to rousing African songs, political songs, and some of her own popular compositions. Emily has been leading choirs for over 15 years and has been singing and performing all her life. She is passionate about encouraging others to experience and enjoy their own voices and believes deeply that singing (especially in harmony with others) is a powerful and connecting experience and is everyone’s birthright. Emily has recently begun leading and developing mindfulness and singing retreats called “Sound, Song and Silence” at the Sharpham Trust. She is also proud to run Devon’s first LGBTQ choir. Cost for the day – £30 (only £25 if full payment is made by Fri 1 Feb 2019). Please bring some food for a shared lunch. Book by sending a cheque payable to “Bruce Knight” to 14 Kennan Ave, Leamington Spa, CV31 3HY. This will reserve your place. 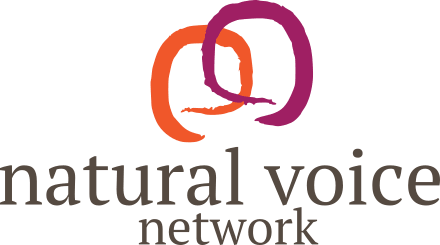 For more info, ring 01926 778454, or email bruce@naturalvoice.net Places are limited – our workshops normally sell out, so early booking is advised. Please include an email address or SAE if you’d like confirmation and / or directions.